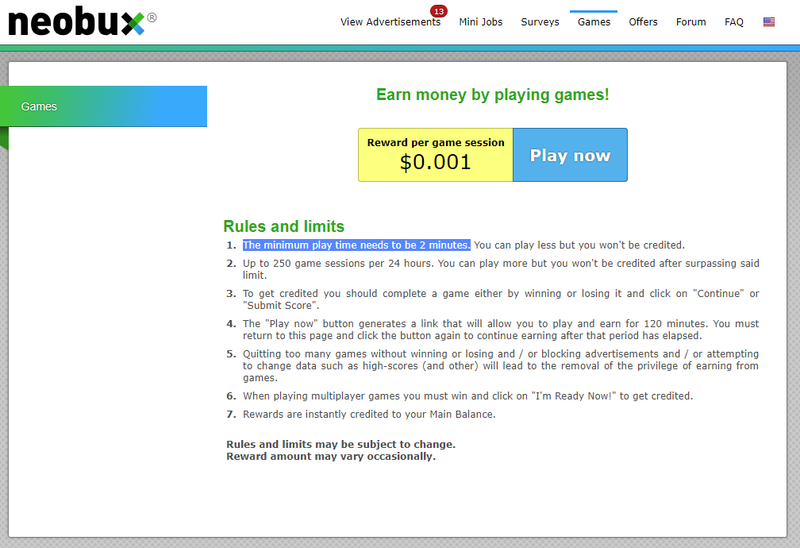 Neobux Review - Earn Money Clicking Ads?! 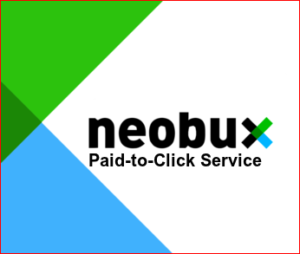 Neobux is a legitimate way to make money online simply by clicking on ads. However, is it really worth your time? Keep reading my Neobux review to find out what I think. Let me get this straight, Neobux is not like most of the stuff I review on this blog. This isn't some ClickBank scam. I wouldn't even say it's a scam at all, really. Because they do actually pay out. However, the amount they pay in my opinion is absolutely ridiculous and not worth your time. It kind of reminds me of online surveys. I recently did a review on Survey Voices which has a similar pay rate. If you're looking for ways to make money online, there are FAR better ways. I'll talk about those later. Firstly, let's talk about how Neobux works. It's very simple. They give you a list of ads, you click on those ads and view them for a certain amount of time and you get paid for doing it. But like I said, the amount you get paid is pennies. Well… actually, it's less than pennies. Every one of these ads will pay $0.001 per one I click. Yep. That's right. 1/10th of a penny. That's just a little over 1 cent. But You Can Click Really Fast! … Right? For each ad you click, you have to wait for the ad to load and then you have to wait a few seconds for Neobux to say it's been validated and the $0.001 has gone into your account. The whole process takes around 20 seconds for me (I have fast internet). Let's do the maths for this..
Say it takes 20 seconds per ad we click, that's 3 per minute. So that's $0.003 per minute. Let's multiply that by 60 to see how much we make per hour.. They have more than one way to make money. Get bored of clicking ads? Then you can play games to make money. Take note of the part I highlighted. Also take note of the amount they pay per game. That means for playing a game for 2 minutes you'll get 1/10th of a penny. That doesn't even take into account the time it takes for you to actually click on and load up the game. That's going to add on another 30 seconds. So, let's do a bit of maths with this one.. I'll be generous and forget about the loading time. So we'll do it for 2 minutes per game. This means we can do 30 games per hour maximum. Make Money With Referrals Too! 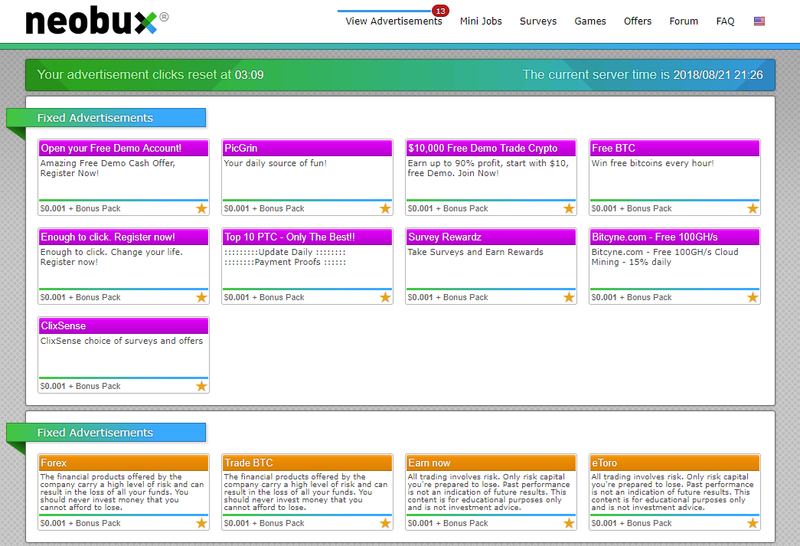 This is another way Neobux says you can make money with them. However, there's a catch to this too. Before you can even refer a single person, you first have to click on 100 ads and then wait 15 days to get your referral code. Even then, you're limited to only 30 referrals at first. Once your account has sort of ‘levelled up', you'll then be able to refer more people under you. You'll then get paid for the clicks your referrals make. But that's even less than the $0.001 you get for doing it yourself. So you better hope your referrals are clicking like absolute crazy and watching thousands of ads per day. Otherwise, you're still going to be earning pennies. If your referrals upgrade their accounts, you also get a commission for that too. But an upgrade costs $90! So why the heck would anyone pay for that upgrade? It would take months to earn back that $90. The time it would take to share your Neobux referral code, would not be worth the pennies you make from it. The Verdict – Do I Recommend Neobux? I once thought that surveys were the worst possible way to make money online. However, my mind has now changed. Neobux is by far the worst way to make money online. You will earn literal pennies from this. Stay away from Neobux. Don't waste your time. Check out the Neobux Review video I made for the Digital Millionaire YouTube channel. Don't forget to subscribe to learn about more ways to make an income online.